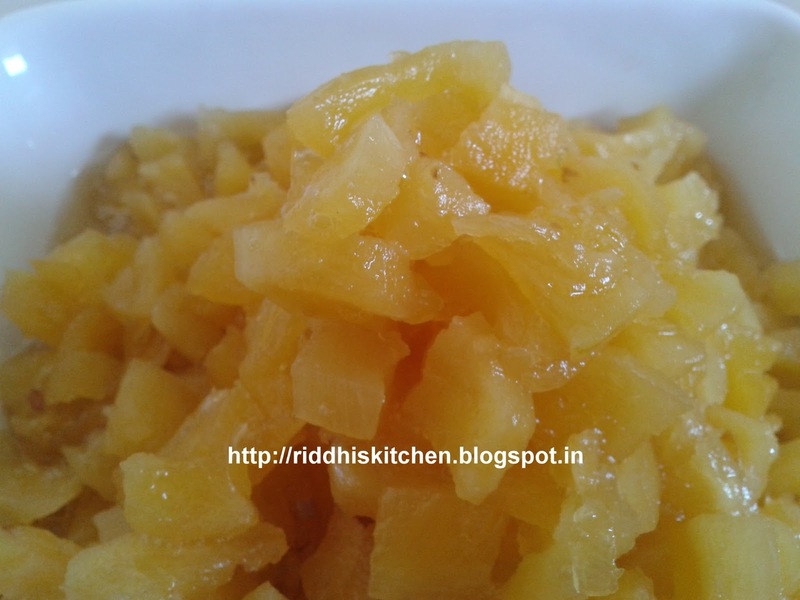 How to make Tinned pineapple ?? cut pineapple into small pieces . Add sugar As per your taste.. Mix It well. Boil over slow heat until all of the liquid is absorbed, only a little syrup should be left . After 1 hour u can store in air tight jar . Store in the freezer for up to a year.